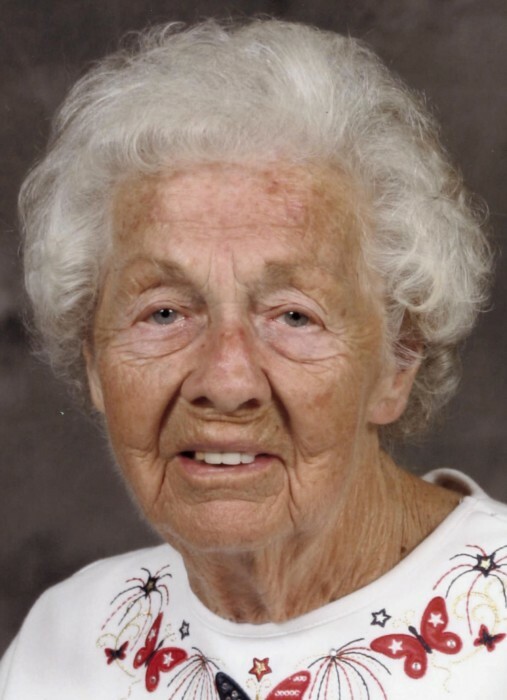 Obituary for Sophia Korab | Dimon Funeral Home and Cremation Services, Inc.
Sophia "Sue" Korab, 98, of Tower City, passed away peacefully Tuesday morning at her home. Born in Coaldale, Dauphin County, March 1, 1921, a daughter of the late Wasel Charles and Mary Davhulich Runchock. Sue was a retired seamstress from the garment industry. She was a member of Sts. Peter and Paul Catholic Chapel, Tower City and the Catholic women's club. She was also a member of the Linglestown American Legion Auxiliary and the ILGWU. Sue was recently honored this past summer by the Tower City / Porter Twp. Sesquicentennial as the oldest resident in the community, she enjoyed being in the parade. She loved being surrounded by her family and will be deeply missed. She enjoyed cooking and baking for family and friends. In addition to her parents, she was preceded in death by her husband, Joseph, 1993; sisters, Anna Panikarchuk, Mary Buren, Julia Weiser; brother, Charles Runchock. Surviving are her three children, John J. Korab; Rose Mary Reiner and her husband Larry and Joan "Dea" Reinohel and her husband Dennis all of Tower City. Six grandchildren, Susan, John, Nancy and Jane Korab, Larry Reiner and Denise Smeltz. Nine great grandchildren, Delaney, Sydney, Kylie, Kayla, Dustin, Sierra, Tyler, Hayle and Montana. Three great grandchild, Savannah, Hadleigh and Adelyn. Numerous nieces and nephews. The family would like to thank Julie, Cara, Niki, Cindy and Maryann for the excellent care they took care of their mother these past few years.